Robert Luff & Co are delighted to offer to market this Beautifully refurbished and extended Bungalow in the sought after location of Ferring, having views of the South Downs National Park, with its wonderful walks and also the beach being within 1.5 miles in the opposite direction,. It sits in a wonderful location., where there is a local bus route very close by and a major supermarket within easy reach. The accommodation comprises in brief of three bedrooms, two bath/shower rooms /w.c's and a superb open plan living arrangement of living./dining/breakfast room and kitchen, with bi-folding doors onto the garden with the downs views. There is also a double length garage. The property has been fully refurbished, so it will be like moving into a brand new home! Internal viewing has to be arranged as the outside photo doesn't give a true feeling to how large this property is. It is very deceptive. 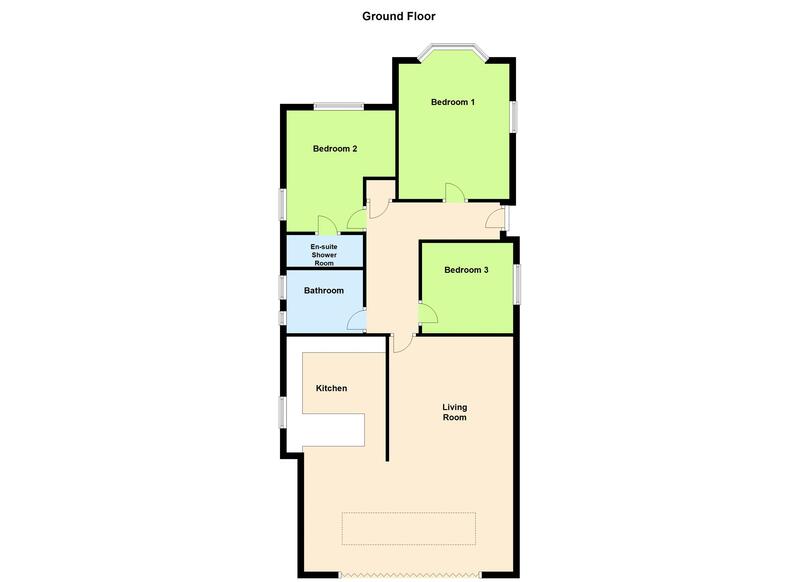 Front door into Reception Hall, radiator, access to loft space, smoke detector, spotlights, storage and cupboard, wall mounted timer controls for central heating. Bi-folding doors onto the garden and views of the South Downs National Park, spotlights, tall radiator. Measurements to include built in units. Range of floor and wall units in high gloss finish, pan drawers, Quartz work surfaces, two shelving racks, two wine racks, range of Neff appliances, slide and hide double oven and microwave and grill, fridge/freezer, four gas ring hob and fast air slanted extractor fan, washing machine and dishwasher, double glazed windows. Double glazed leaded light windows into bay and side giving double aspect, radiator, smooth ceilings and spotlights. Leaded light double glazed window to front and double glazed window to side giving double aspect, radiator, spotlights. Walk in shower cubicle with large drench head and side rinser and electronically controlled, low-level W.c, wash hand basin with mixer tap and cupboard below, extractor fan, spotlights, mirror with sensor switch, chrome ladder style radiator, part tiled walls. Double glazed window, spotlights, radiator. Panelled bath with glass screen, wall mounted shower which is electronically controlled, low-level W.C, wash hand basin with three drawers below, mirror with sensor controlled lights, two obscured double glazed windows, tiled walls, chrome ladder style heated towel rail. Patio, lawn, walled gardens and views of the South Downs National Park, side access. Up and over door, electric circuit board and fuse box and electric meter, double glazed double doors to rear garden.